Busy Signal come through for a bad wine from the baddest chicks in the dance. The Turf boss drop a new track “Busy Signal – Bad Wine (Slap it Up)” produced by his in house producer. Signal has been dishing out new music since last month including a new gangster anthem “Stay So.” “Bad wine gal gi mi a bad win / Gal yo bless so mi affi put yo to the test / Ask yo if yo pu**y fat and yo say yes,” Signal deejay. 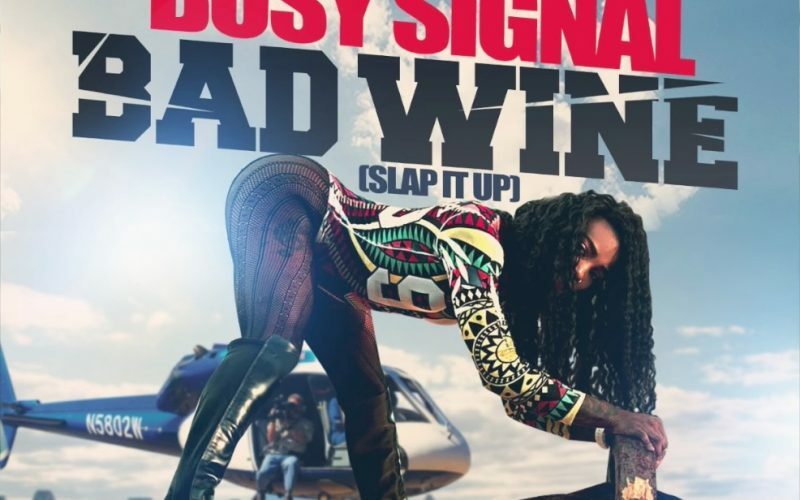 Busy has yet to respond to a recent diss from Ding Dong in a new song “Flare.” “Mi no Busy Signal no call Gary,” the Ravers deejay sings. Perhaps Busy Signal is not feeling this beef or maybe Ding Dong is not a big enough artist to war with.